Planning a trip to a tropical destination with kids? If so, family beach time will surely be an activity on your itinerary. So, be sure you’re prepared with these tropical beach vacation packing tips! When you’re headed somewhere for some fun in the sun, it’s SO important to make sure you’re prepared with sun protection! No family wants their vacation ruined by bad sunburns. We make sure we’re stocked with plenty of sunscreen (really more than you think you might need) -something good quality and waterproof is ideal. In some international destinations, sunscreen can actually be rather pricey compared to in the States. So, it’s something to keep in mind. In addition to sunscreen though, I highly recommend the “spf” clothes with UV protection built in. In fact, for the kids, we only buy swim suits with uv protection. 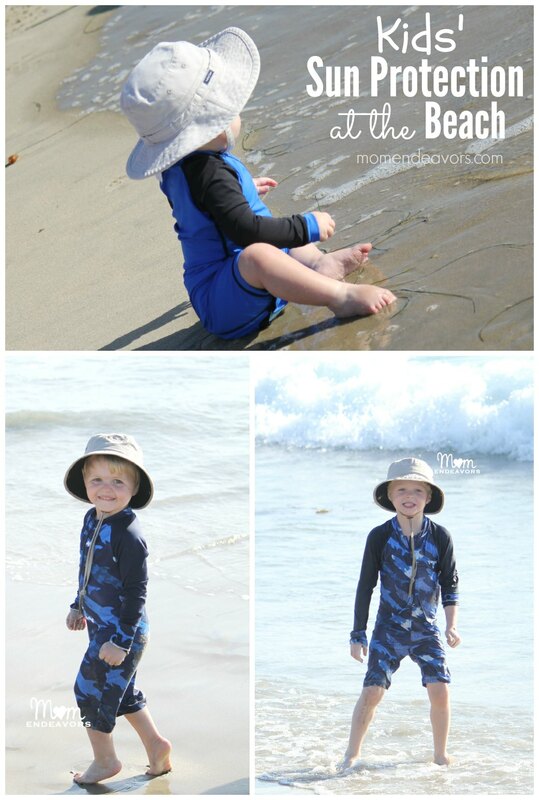 Our favorites are the one-piece swim skinz or the two piece outfits that come with shirts. For the adults, I love having the UV protection swim tees that work as rash guards, cover-ups, and just general skin protection. I one from Land’s End that I love. We also make sure we have hats with UV protection. Bring at least TWO Swimsuits per person! Given the humidity of most coastlines, especially so in any tropical locations, those swim suits are NOT going to dry quickly. And, there’s nothing quite like the uncomfortable awkwardness of trying to wrangle on a wet swimsuit. So, for your beach vacations, I highly recommend having at least two swimsuits per person!! 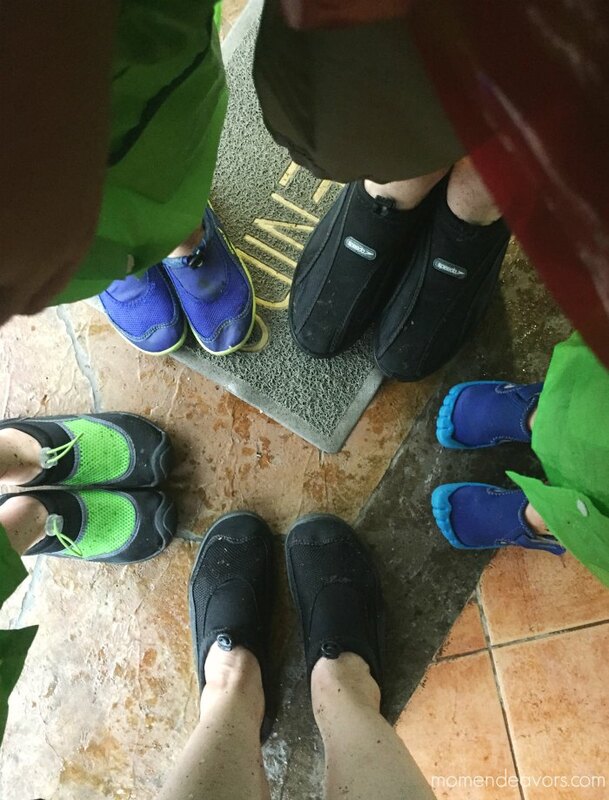 If you’ll be visiting anywhere with rocky beaches, tide pools, or beaches largely comprised of crushed shells, water shoes are a really smart option (as opposed to something like flip flops). They make walking on the rocks much safer and offer better protection. Another thing is that they can double as good shoes to wear for short hikes if you’ll be in a rainy, muddy, or particularly wet. We used them for a rainforest hike in Costa Rica and a short hike in Kauai. Perfect! One of the last things we do on a beach vacation is usually to spend time on the beach, but that leaves you with wet clothes to take home. I MUCH prefer backing up the wet swimsuits in a designated wet bag (affiliate link) instead of just plastic grocery sack or something like that. The wet bags keep the wetness in with no leaking – because the last thing you want is a full suitcase of soggy ocean clothes. Bring a Puddle Jumper Life Jacket for little kids/non-swimmers. 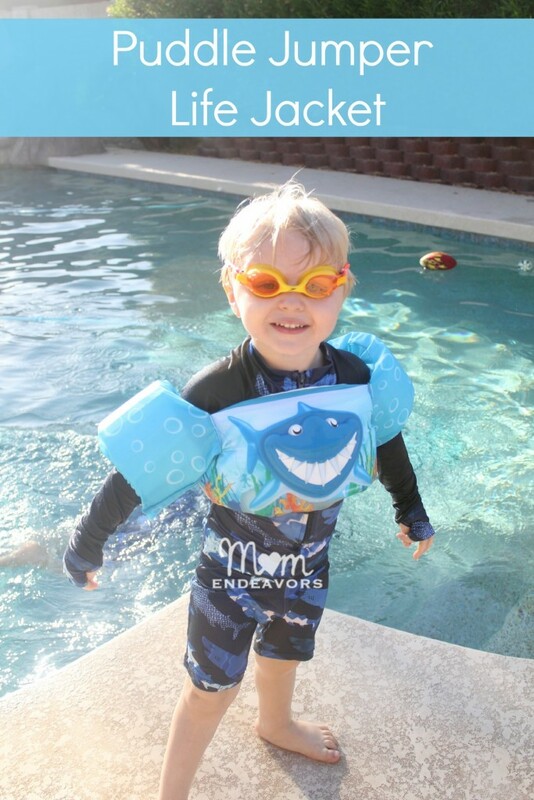 While nothing replaces the importance of watching your kids around water, we like the added safety of having our younger kids in a Puddle Jumper Life Jacket (affiliate link) while we’re at the beach (or the pool). I canNOT recommend them enough! Though they do take up some space in the luggage, we’ve found traveling them to be invaluable with our little ones. We’ve traveled to Hawaii, Costa Rica, Turks & Caicos, and on a Caribbean Cruise all with at least one Puddle Jumper packed. If you like snorkeling, bring your own gear! We LOVE snorkeling and will do it anywhere we have the chance! There are SO many places where there is actually decent to great snorkeling right off the beach. So, we make sure that we have our own snorkel gear (affiliate link) – often just the mask & snorkel, since the fins take up so much room. And, since we currently have young kids who aren’t all able to snorkel, we just have just 1 adult set and 1 kid set for the family. Then the snorkelers in the group take turns with one parent and the parents trade off. And, for the not-strong swimmer, a Puddle Jumper Life Jacket comes in SO handy for snorkeling as well. Our littlest guy went snorkeling in Cozumel on his 4th birthday (just with googles) – incredible experience for him! Use a waterproof camera! Bring two pairs of sunglasses! Bring your nice pair and then have a beach pair! I have a pair of really nice, more expensive sunglasses that I LOVE! But…I’ve heard SO many horror stories from friends about waves knocking them over & losing their beloved sunglasses in the ocean. In fact, I watched it happen while we were at Beaches Resort in Turks and Caicos. So, save the nice pair for your dinners, date nights, etc and have a much less expensive pair that you bring with you to the beach! Take a good beach tote! If you’re hauling down snorkel gear, cameras, sunscreen, hats, possibly some play toys, diapers, wipes, or any other myriad of things you might have with the kids, it is SO important to invest in a GOOD beach tote (affiliate link)! I of course like something that’s fairly cute AND functional. Extra compartments, waterproof feature, or mesh are all good features to look for! Have you done tropical beach vacations? What would you add to our list?